Wiseco’s Sport Compact Pro Tru line creates the best value in forged pistons today. These American made pistons are forged and machined by skilled Ohio craftsmen with state-of-the-art forging presses and CNC machines. By using dedicated forgings specific to the final piston shape, Pro Tru pistons are stronger and lighter than industry standards. Pro Tru sets include plasma moly 1/16, 1/16, 3/16 pre-gapped ring packages which provide excellent seal, friction reduction, and long life. 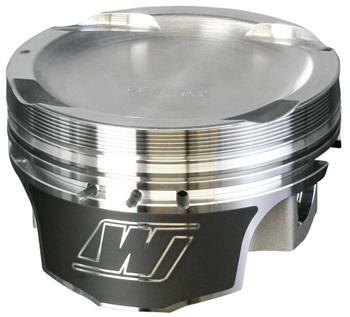 Pro Tru pistons also come in a variety of volumes that allow the engine builder to choose the exact compression ratio required for their engine.